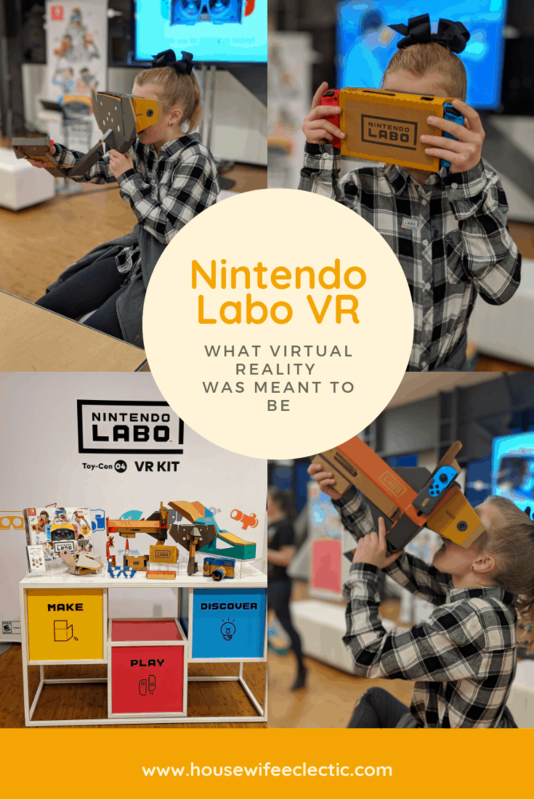 The Nintendo Switch, Cardboard, and VR don’t seem like they all belong together in the same sentence, but that is exactly what the Nintendo Labo VR kit brings together to create magic. My 10-year-old, Sofie and I were giving the chance to test out all of the products and we both had such a great time. We were sad to give everything back! This is Nintendo’s first adventure into virtual reality and it was completely worth the wait. As a parent, THIS is the VR set I want my child to have. It combines DIY (you have to build the devices out of cardboard), gaming, imagination, movement, and programming. I have always wanted gaming to be more for my kids. I have enrolled them in coding classes and spent hours showing them behind the scenes of games, hoping to create interest in not only the game but the creation and creativity behind. 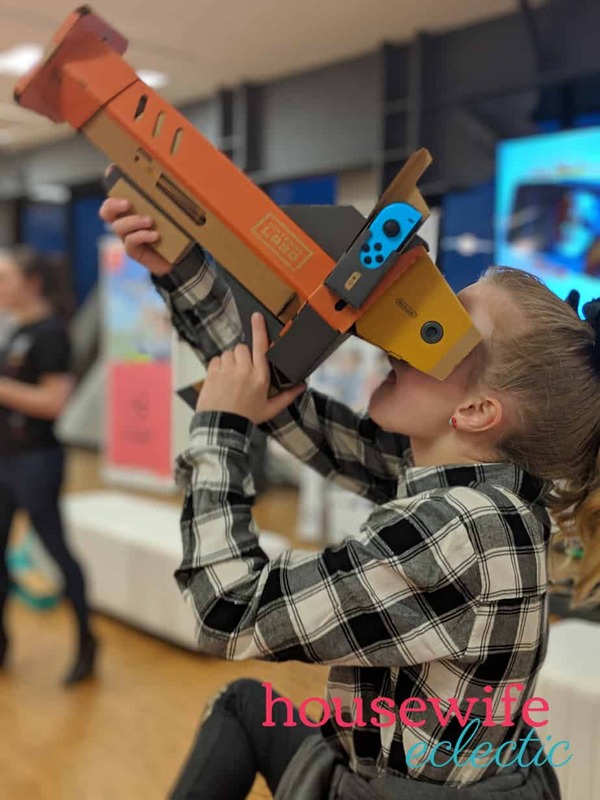 This comes built in with Nintendo Labo VR. You can open the background of all of the mini-games, see how they were created, change them and even create your own from scratch. It makes learning and creating not only fun but educational. One of my biggest stresses as a parent was the cardboard factor. Are we going to build these kits just to have them fall apart? The Nintendo team told us they have carried the same kits built all over the country. They have been thrown around in boxes and moved from state to state and they have all held up well, but even if they don’t, they are designed to be fixed with household items like rubber bands. Elephant – While admittedly the strangest looking addition, this is hands down my favorite part of the kit. You can draw, changing colors, moving around your drawing and erasing, all in the 3D. This is incredibly creative and fun. Camera- This is just what you would think. A Camera, you get to use the VR headset to take photos in a virtual reality. The camera makes clicking noises as you zoom in and out for a more immersive experience. You spend time underwater trying to capture images of fish and then go back through your images later to find the best ones. It is the perfect creative outlet without having to book a ticket to the coast. Bird- The bird allows you to flap your wings like a bird and explore a wide world, finding eggs and food all around you. Pedal- The pedal looks like a large bass drum that you use to physically jump over obstacles in the game. It kind of reminds me of a track game I had as a kid for the original Nintendo. We LOVE the added physical element to that game and this one is no different. Blaster- This is most like Nintendo accessories that we have seen in the past. You use the blaster to fight aliens and explore new worlds. This was probably my daughter’s favorite of the new accessories and I have to admit, it is a lot of fun. 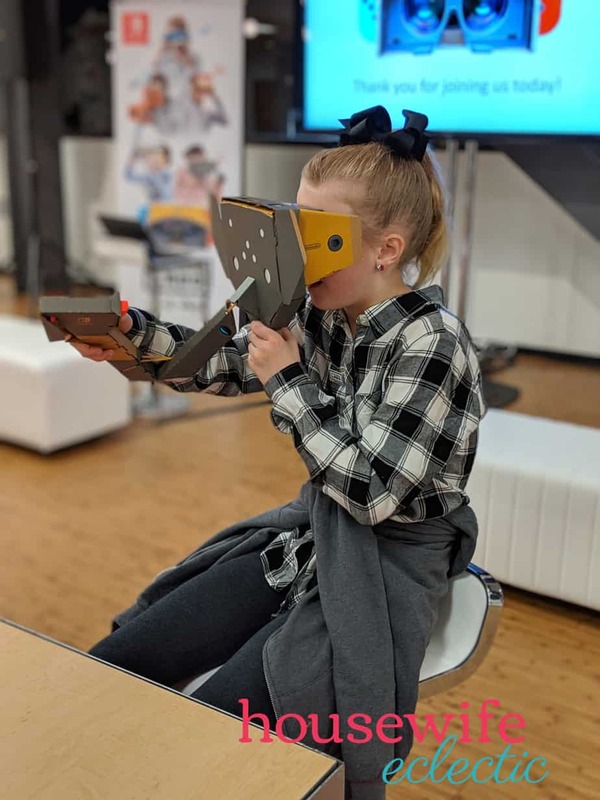 My daughter has talked about Nintendo Labo VR every single day since we were able to try them out and I wouldn’t be surprised if the entire set makes it way to our house someday soon. 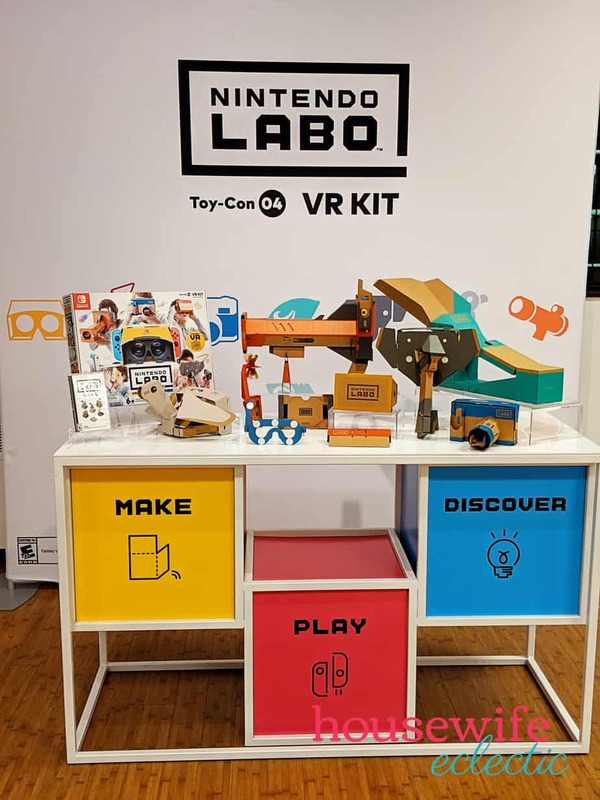 Would you try Nintendo Labo VR?